One of the most annoying things is to know that you have insufficient internet credit. From checking emails to know about latest news, internet services are important for us in this modern age. If there is an unlimited Wi-Fi connection then the things remain fine but the limited mobile data packages run out quickly which is a problem when you are out. 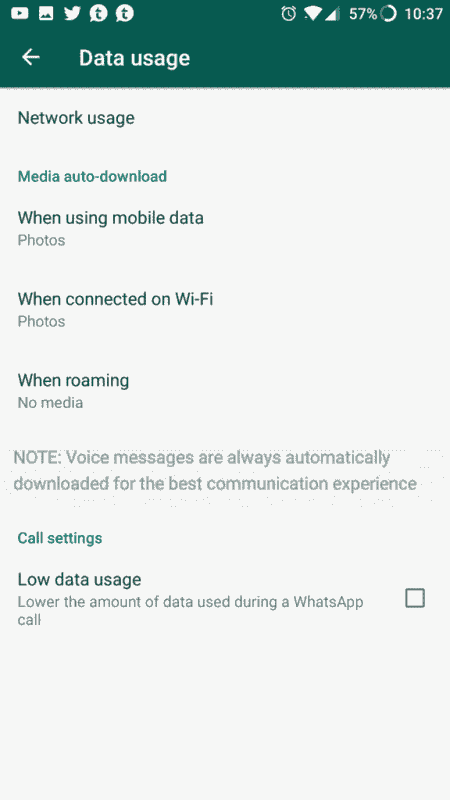 On most of the occasions, the data is consumed secretly by some apps and you can lose your limited mobile data volume quite quickly in the absence of proper settings. Following are the important steps that you can take to minimize data usage by few important apps. We use Facebook for information and to pass time and this is the biggest app to quickly spend your data. Even when you are offline, you can scroll down in the app for quite some time during which the data is downloaded in the background. Apart from that, the app also consumes data in the foreground also and its biggest problem is the feature of auto playing videos. You can save several MBs by turning that off by the following process. 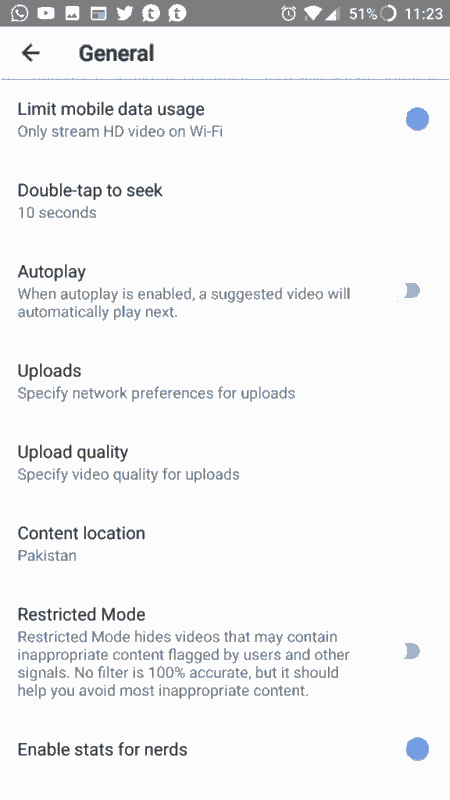 From menu, go to ‘App Settings’ and then turn the ‘Never Autoplay Videos’ option in ‘Autoplay’. This will reduce data usage of cellular connection automatically. You can share your pictures and videos instantly with your friends and family members through WhatsApp but you can also lose lot of your data with WhatsApp. But the good thing is that this app provides you an opportunity to choose between auto and manually download media. You can change it by going to settings and then navigate to ‘Data Usage’. 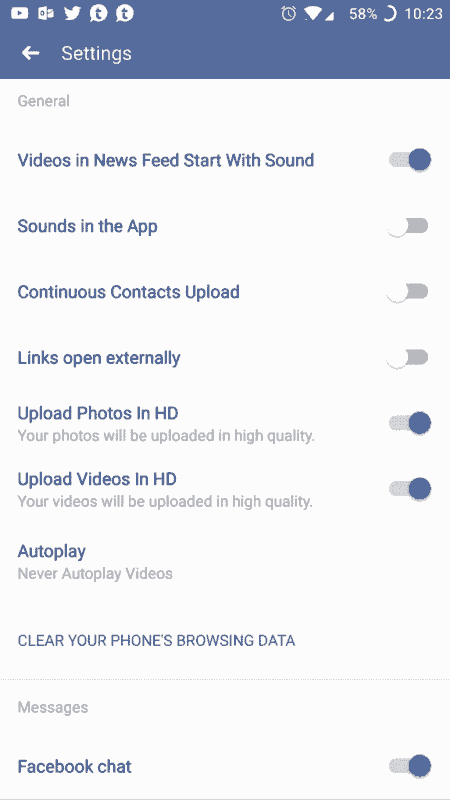 In the end, change the auto download setting for both videos and photos. Twitter also acts like Facebook. Videos start playing automatically when you scroll down which downloads large amount of data. This problem can be solved in the same manner as that of Facebook. Open the navigation pane and move to ‘settings and privacy’ and then to the ‘data usage’. 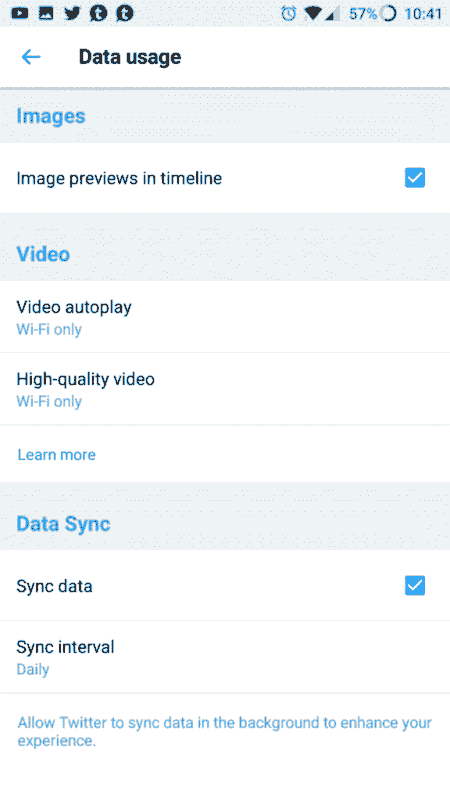 Now you can change the autoplay option of the video to either ‘wifi only’ or ‘never’. 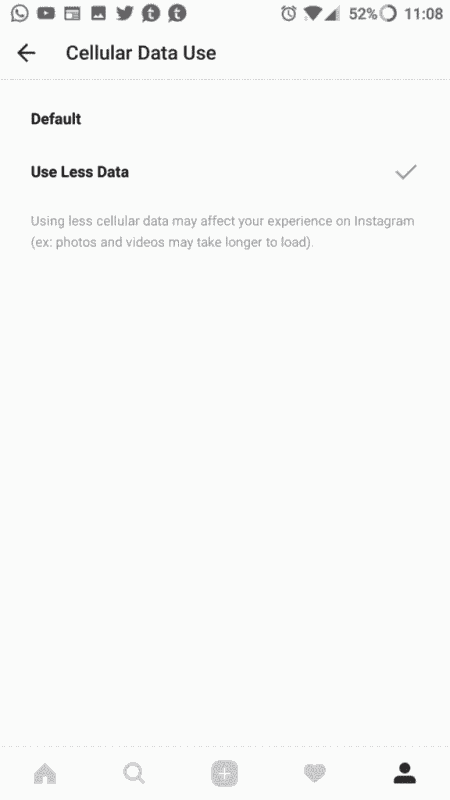 Instagram also continuously load and store data in advance like many other social media apps. If the settings remain unchanged, the data keeps on downloading in the background. Tap to the settings menu and arrive at ‘cellular data usage’. Now you can stop the preloading process and save data by selecting ‘Use Less Data’. YouTube is the biggest streaming app and it can also make use lot of data if it streamed at 720p and above. You can change this by using the following procedure. Tap the ‘settings’ menu and then go to general and activate ‘limit mobile data usage’.